Cobalt can be employed as the metal, sometimes as powdered cobalt and sometimes in the form of cobalt wire, or as a solution of either cobaltous or cobaltic chloride. In this discussion, we will concentrate on the use of cobalt wire as the epileptogenic agent (the paper by Hattori et al.17 describes a method utilizing cobalt chloride if one is interested). The most recent purchase of cobalt wire that this author made was from Aldrich Chemical Company, Inc., St. Louis, MO. For rats, the best size for producing seizures is wire 1.0 mm in diameter. For some purposes, one may choose cobalt that is thinner; wire 10 mil in diameter is available and will also produce seizures. Several anesthetic agents have been used; however, this investigator has generally employed Innovar®. Innovar® is a commercial mixture containing 0.05 mg fentanyl and 2.5 mg droperidol per milliter. It is best administered subcutaneously in the nape of the neck in a dose of about 0.5 ml/adult rat. There appears to be some strain differences and in some studies, the author has been successful administering 0.25 ml per animal while at other times, 0.7 ml or so was required. This procedure produces surgical anesthesia in about 15 min that ordinarily persists for about an hour. There is a very low incidence of death with this agent. If necessary, the administration of an opioid antagonist, such as naloxone, may be useful to reverse the effects of the fentanyl component of Innovar. Either male or female rats may be used, since there appear to be no differences in the response of either gender to the application of cobalt. Female rats are generally employed if long-term electroencephalography is contemplated, since they do not grow as rapidly as males and, therefore, there is less likelihood of pulling electrodes out of the skull as the skull is developing. The rat is placed in a stereotaxic frame as soon as it is anesthetized. For most studies, it is not necessary to be particularly concerned about using specific stereotaxic coordinates. The bregma is a particularly useful landmark for application of cobalt to the cerebral cortex of rats. The cerebral cortex directly beneath the bregma and at least 2 to 4 mm lateral, rostral, and caudal is essentially motor cortex. The stereotaxic frame is very useful for holding the rat's head in a fixed position so that the surgery can be easily accomplished. The skull is exposed by using a scalpel and blunt dissection. The entire skull should be exposed and, if the animal is to be prepared for electromyo-graphic tracings, the temporalis muscle must be exposed as well. Earlier studies involved application of the cobalt to either left or right cerebral hemisphere; however, for the maximum number of seizures to occur, bilateral placement of cobalt into both left and right cerebral cortices is indicated.18 With a dental drill, holes are made in the cortex 2 or 3 mm to the left and right of the saggital suture, 2 mm rostral or caudal to the bregma (depending on the choice for the placement of cobalt). One should be careful not to allow the dental drill to penetrate into the brain tissue, since it can cause significant damage. When the hole is drilled into the skull, the dura mater and pia mater should be carefully punctured with a needle. A cobalt rod, 1 mm in diameter and 1 to 2 mm in length, should carefully be inserted into the exposed cortex (Figure 7.1 illustrates the placement of the cobalt). The hole should be covered with a piece of gelfoam to prevent excessive bleeding. If neither electroencephalography nor elec-tromyography is planned, the skin should be sutured carefully and the animals placed in individual cages to recover for subsequent studies (for greater detail on intracranial implant surgery, see Chapter 3 on kindling). There have been no rigorous studies to determine if there is an optimal cortical location for the production of seizures. Depending upon the nature of the study, one area may be favored over others. However, if the production of seizure activity is the primary aim, any location ±3 or 4 mm in any direction from the bregma should be satisfactory. In a given study, however, the same location should be used in all rats. This figure depicts the placement of a cobalt rod to a rat's cerebral cortex. The rat has been anesthetized and placed in a stereotaxic frame. The skull has been exposed and an opening made in the skull in the area of the bregma with a dental drill. The dura mater and pia mater have been punctured with a needle. The technician will carefully insert the cobalt rod into the opening, cover the opening with a small piece of gelfoam, and suture the skin. The administration of cobalt to the brain results in the formation of an area of necrosis that is roughly proportional to the amount of cobalt inserted;19 this is a reason to choose a smaller diameter cobalt wire. It is likely that the area of epilep-togenic neurons lies immediately outside the area of necrosis, with these neurons exhibiting altered electrophysiological and neurochemical activity. The area of necrosis is quite clearly demarcated and recording from neurons in the "normally appearing cortex" should be relatively easy, but to date, has not been done in any systematic fashion. Similarly, studies can be carried out to measure ions, enzymes, and putative neurotransmitters in the same tissues. A limited number of such studies have been carried out.20-23 Recently Van Ostrand and Cooper13 have combined cobalt epilepsy in the rat with a study of 2-deoxyglucose uptake and have made some interesting observations. 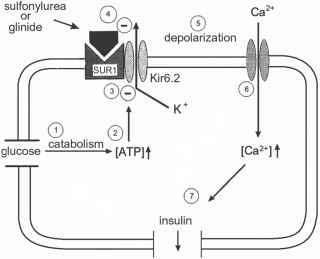 They found that the area around the site of cerebral cobalt application in rats demonstrated hypermetabolism and that there was also a region of hypermetabolism in the thalamus. There are certain advantages to measuring electrocorticographic (ECoG) activity following cobalt placement to the brain. Although seizures are frequently observed following administration of cobalt, it is difficult to quantify their occurrence, unless there are facilities for continuous video monitoring of the animals. The electrocor-ticogram (ECoG) offers a reliable means of determining seizure activity in a conscious animal throughout the time period chosen: this interval has been up to several weeks. The author for many years used a system in which the rats were tethered to a mercury swivel by means of a cable connected to a headpiece. The original source of the swivels no longer exists, but Grass Instrument Co., West Warwick, RI should be contacted for a current supplier. 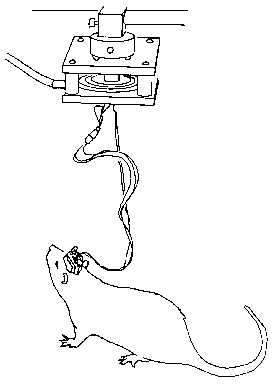 Figure 7.2 depicts a rat prepared for electrocor-ticographic and electromyographic (EMG) recording. 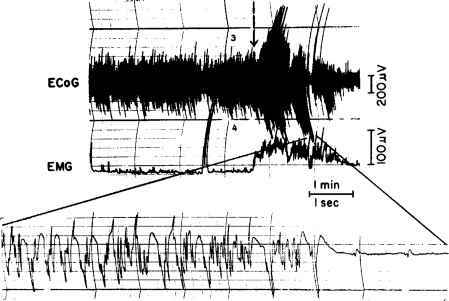 Figure 7.3 shows a typical ECoG tracing of a seizure induced by administration of cobalt. It can be noted that it is possible to differentiate sleep from wakefulness, even at the compressed chart speed of 25 mm/min. A complete discussion of methods currently available for electroencephalographic recording of rats is beyond the scope of this chapter. If one is planning to do rat electroencephalography, he or she should contact Grass Instruments to find out what telemetry methods are currently available. If one wishes to record ECoG and/or EMG activity, the surgical preparation should be accomplished at the same time that cobalt is applied. In addition to holes for the insertion of cobalt, holes are also drilled bilaterally over the frontal and parietal cortices for placement of stainless steel screws that will be used as electrodes for the electrocorticogram. The screw in the right parietal region is used only as an anchor to help hold the headpiece on. Stainless steel wires are also sewn into the temporalis muscle to record the electromyogram. All electrodes (three ECoG and two EMG) are fastened to a 7-pin electrical connector (obtained from Vantage Electronics, Waltham, MA) which is attached to the skull with acrylic dental cement. The dental cement dries very quickly and within an hour ECoG and EMG activity can be collected; the cable is plugged into an electrical connector and into a Grass polygraph via a mercury swivel. As mentioned, currently there is equipment available that allows for intermittent or even continuous monitoring of a freely moving unrestrained rat, without the necessity of the rat being connected through a mercury swivel. There is some question as to what would constitute an ideal control to the administration of a cobalt rod, since many other metals would be expected to also produce an epileptogenic state when administered to the cortex. The insertion of the cobalt rod produces tissue damage as well as some bleeding. Artist's conception of a rat that has been implanted with a cobalt rod in the cerebral cortex. For the recording of electrocorticogram (ECoG) activity, screw electrodes have been placed in the cortex in the left frontal, right frontal, left parietal, and right parietal areas. Muscle electrodes have been inserted into the left and right temporalis muscles for recording of the electromyogram (EMG). Following implantation of cobalt into the cerebral cortex and connection of the electrodes, all of the electrodes are inserted into a headpiece which is held in position on the skull with acrylic dental cement. Two hours after the surgery is completed, the rat is placed in an individual recording cage and is connected to a cable, and via a mercury swivel to a Grass polygraph (Grass Instrument Co., West Warwick, RI) for the recording of ECoG and EMG activity. The ECoG and EMG activity of these unrestrained and freely moving rats can be recorded continuously for 7 to 21 d. To conserve chart paper, a slow speed of 25 mm/min is generally employed. who also used copper as a control, there was no indication of hypermetabolism at the site of copper implantation or in any other areas of the brain. For many studies, it may not be necessary to determine precisely the level of seizure activity present, particularly if one uses a standard amount of cobalt (e.g., cobalt rods, l mm in diameter and 1 to 2 mm in length). If one has the facilities, it is relatively easy to monitor the EEG for evidence of epileptic activity (e.g., the presence of epileptic spiking) and even the incidence of overt seizures as evidenced by the ECoG (see Figure 7.3). In the absence of electroencepalographic monitoring, careful observation of the rats, particularly if cobalt has been administered bilaterally, should allow one to observe head jerks, clonic movements of the forelimbs, and even the occurrence of generalized convulsions. Such activity will be most prominent about 6 to 7 d after application of the cobalt and should persist at a relatively constant level for another 6 or 7 d.
Another method that can be employed to establish that the rats are indeed epileptic and that can give a measure of the degree of epileptogenicity, is to determine the threshold for seizures induced by a convulsant agent, such as pentylenetetrazol. The implantation of cobalt produces a state in which the rats exhibit an increased sensitivity to most central nervous system convulsants (pentylenetetrazol, picrotoxin, or bicuculline). The method of Levine et al.24 involves administering an intraperitoneal dose of pentylenetetrazol, 15 mg/kg, every 15 min until a generalized convulsion occurs. The threshold is then expressed as the time period after pentylenetetrazol in which an observed seizure occurs: the time required for seizures to occur should be decreased in rats rendered epileptic by cobalt. This method was utilized in the study of Hartman et al.,25 in which control rats usually exhibited a generalized convulsion only after three injections of pentylenetetrazol while animals treated with cobalt 5 to 7 d earlier convulsed after the first injection. One must not attempt to determine the pentylenetetrazol seizure threshold in the same rat more than one time, since a type of "chemical kindling" can occur.26 With repeated administrations of pentyl-enetetrazol no more frequently than one time per week, the seizure threshold significantly declines. This is not unlike the phenomenon of kindling that is more commonly produced by electrical stimulation to the brain and that is one of the most widely employed models for seizure studies. However, the administration of pen-tylenetetrazol in the manner discussed 6 or 7 d after implantation of cobalt should clearly indicate that the cobalt treatment was effective in producing an epileptic state. The methods to determine epileptic activity after cobalt implantation should be equally effective in dealing with any other form of focal epilepsy and will not be discussed again in relation to either focal iron or penicillin epilepsy in the rat.